Amazon is pulling no punches in its streaming war with Netflix. The company is rebranding LOVEFiLM Instant as Amazon Prime Instant Video and adding rental and digital purchases for the first time from February 26th. This will include new movies such as Captain Philips and Despicable Me 2, taking the fight to Blinkbox, iTunes and Sky Store. "Consumers will be able to shop for what they want, read what they want and watch they want anywhere at any time," said Tim Leslie, vice-president of Amazon Instant Video for the UK and Germany. Existing Amazon Prime customers can enjoy Amazon Prime Instant Video for £79 per year, which includes unlimited one-day delivery and access to the Kindle Owners' Lending Library. It's worth noting renewals and new signups will be charged £49 before February 26th. LOVEFiLM Instant members can continue to subscribe on a monthly basis for £5.99. Amazon is investing in original content too. Unlike Netflix, Amazon Originals allows subscribers to vote on their favourite pilot episodes prior to commissioning a full season. Chris Carter (creator of The X-Files) has joined the fray with his spectacular misfire. The After. This tedious and wholly derivative paranormal drama is blighted by excessive swearing. Netflix's House of Cards is in no immediate danger of tumbling down. 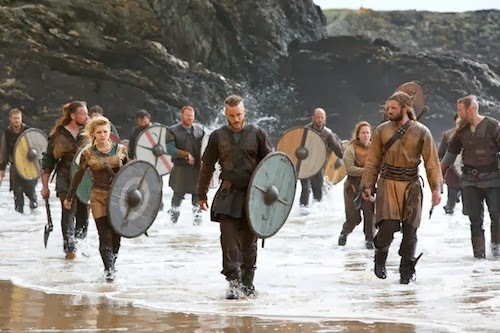 The subscription service also exclusively streams History's Vikings, which is a lavish, if languid, drama series and somewhat overshadowed by Game of Thrones on Sky Atlantic. Season 2 starts streaming on Amazon Prime Instant Video at the end of February. Rumours suggest the feted Amazon TV box will debut in March! Is there room for another streaming device in an already overcrowded market? All apps will be updated to reflect the rebrand next week.